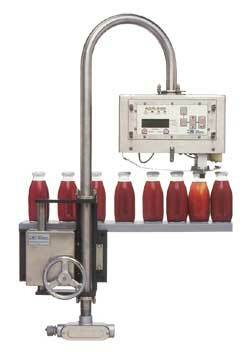 Offering the most complete line of vacuum / pressure container inspection equipment available anywhere. Dramatically improving processing quality, reducing product liability while at the same time allowing production speeds of 2000 cpm. From the very beginning, our on-line state of the art, non-destructive inspection systems have assured the food processors of automated detection and removal of defective containers. Entering our fifth decade of inspection equipment manufacturing we are still committed to customer satisfaction by providing processing solutions to the food processing industry. Please look around in the "Products & Services" tab to see our products and information about them. If you would like a quote on any of our products please contact one of our worldwide Distributors close to you by clicking on the "Distributors" tab. If you can not find a Distributor close to you, you may "Contact Us" and we will be happy to help you. We do ship international shipments.